KAMPALA – Some of us who know Uganda, how it is run, and where the centre of real power is, is largely quiet over the detained MPs. On the face of it, President Yoweri Museveni is the head of state and chief executive of the country. Beneath the surface, though, we know that Museveni is a Country Manager, who runs Uganda on behalf of a Board of Directors that sits in Washington, London and Brussels. As he told NRM MPs at that January 2010 meeting at State House in Entebbe gathered to discuss the anti-homosexuality bill, Ugandans and the NRM MPs might be unanimous in wishing for a ban on homosexuality. But the bill has a “foreign policy implication”. That summed up the true picture of power in Uganda. What Museveni admitted quite honestly that day was that in the Periodic Table of high school chemistry, not all elements have an equal atomic weight. Silver, Gold and Iron have much heavier atomic weights than gases like hydrogen, argon and helium. In this Periodic Table of United Nations member states, some countries (Britain, France, the United States, the European Union, etc) carry far greater weight than ordinary members of the UN General Assembly like Uganda and Benin. The true structure of power in Uganda is not the Executive, Parliament and the Judiciary, but rather the Executive, the Western nations and the third branch of the Uganda government is the western media and human rights groups. What Museveni said at State House in 2010, in effect, was that the final word on what goes on in Uganda does not depend on him, but on the Board of Directors in the Western capitals. So, rather than lament on social media, on TV and radio talk shows and at press conferences in Kampala or burn tyres, the lawyers for these MPs should make contact with the Kampala embassies of the said heavier elements on the global Periodic Table. Engage with their media like CNN, France 24, BBC. Pressure will come from those capitals and, as we are already seeing, has started coming down in the M7 government via statements of concern by the U.S. and EU diplomatic missions in Kampala about the mistreatment of the MPs. 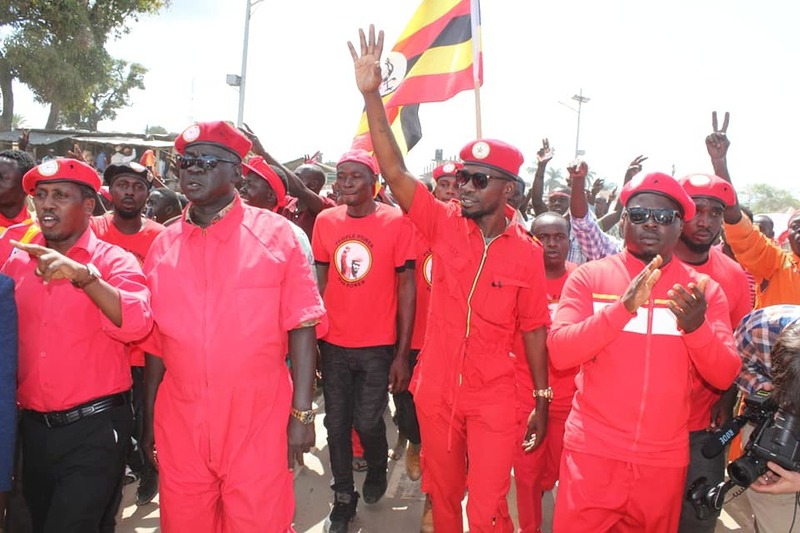 As soon as the U.S embassy and the EU mission expressed their concern, suddenly Bobi Wine’s family and lawyers were permitted to see him. Learn where true power is.